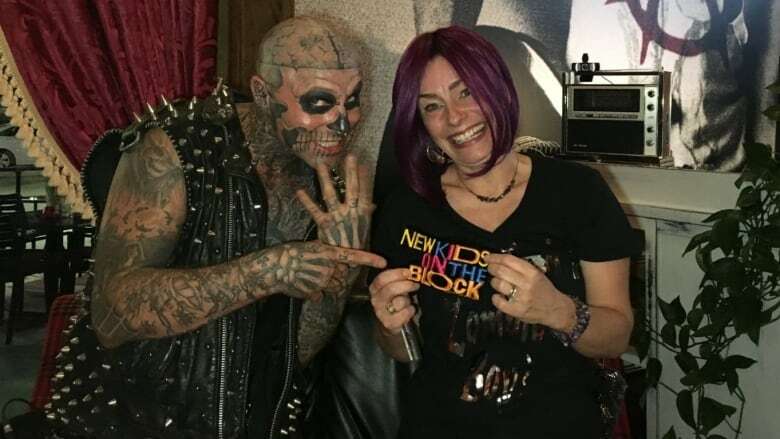 The first time Tamara Annis met Rick Genest, he was standing outside her Metcalfe, Ont., shop 10 years ago with no shirt on in the freezing November sleet and snow. The first time Tamara Annis met Rick (Rico) Genest, he was standing outside her Metcalfe, Ont., shop 10 years ago with no shirt on in the freezing November sleet and snow. "I guess the mother in me worried and ran up to him to make sure he was OK," the shop owner and artist told As It Happens guest host Piya Chattopadhyay. "I gave him a cigarette and I got him into the restaurant to get some food and the whole bit." The Quebec coroner's office says it is still investigating the cause of death. The Montreal paramedics organization Urgences-santé could not comment on the circumstances surrounding his death, but said it had been related to a fall. Police sources told Radio-Canada they are classifying his death as a suicide. But Genest's manager, Karim Leduc, told CBC Montreal's Homerun Friday the actor's family believes his death was accidental. When Annis met Genest, he was in her tiny Ottawa suburb to film a small role in the 2009 movie Carny. "You can imagine someone that tattooed in a small town like this, how welcomed he would've been," Annis said. "Everybody was pretty shocked." But looks can be deceiving, and the pair would go on to form an unlikely bond. "Once you got past the surprise of this tattooed face and body, and you realized it wasn't makeup, the person that was ... him was just so sweet," she said. "He was one of my closest friends. He was the sweetest person you could ever, ever know. So funny. So creative. A very, very gentle-natured person and very caring." 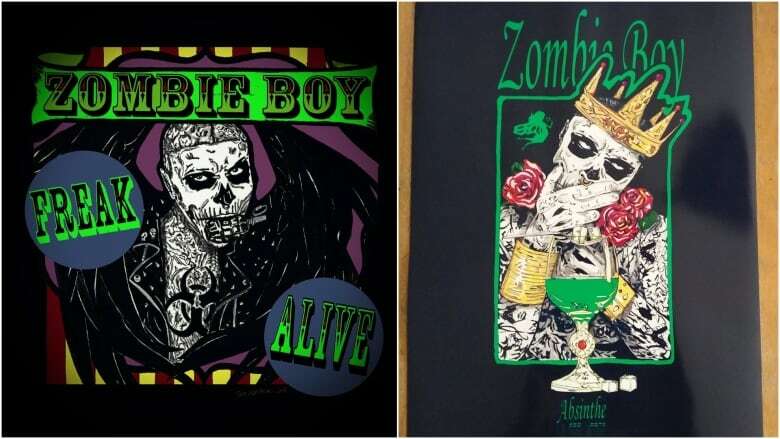 Genest, who was better known by his stage name Zombie Boy, was born in the Montreal borough of LaSalle, grew up in the off-island suburb of Châteauguay and spent part of his life living on the streets. "I'm a bit older than Rick," Annis, 49, said. "I wouldn't say I was a mother figure to him, but certainly someone who always had his back and didn't judge. That safe person you can come to." After the film shoot was over, Annis said she lost touch with Genest for a little while — though she often wondered what became of him. "Then I turn on the TV one day and I saw a Lady Gaga video and I thought, 'My God. That guy, he looks like Rico. That is just crazy,'" she said. "I thought that couldn't be Rico. You couldn't go from this kid standing on the street that I gave a cigarette to, to now you starring in a Lady Gaga video. Well, it was him." After that, Annis followed her old friend's career as he modelled at high-end shows in Paris and Berlin. Then, about a year and a half ago, she reached out to him again. She was creating art work for a domestic violence charity and asked Genest if he would like to pose for some paintings. "Well, of course he did," Annis said. "And then from there, we just sparked up our friendship again and pretty much spoke every single day and were planning all kinds of creative ventures and he was part of my family." In fact, she said Genest was planning to visit this weekend. "He was looking forward to it and we were working out what we were going to do," she said. "We were getting pretty excited about it." 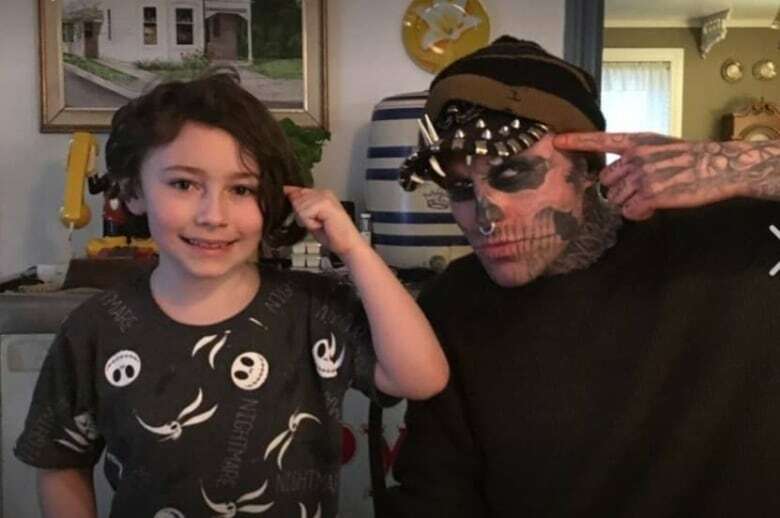 While most people will remember Genest as Zombie Boy — or the man who held Guinness World Records for most insect and human bone tattoos — Annis said he's much more than that. "At times he would get a bit frustrated or disheartened when people saw him as a muse, as sort of a commodity, not the person of who he was," she said. "Like his famous quote — he did not do this to be famous; he did this to be himself." Written by Sheena Goodyear with files from Katie Geleff and CBC News. Interview produced by Jeanne Armstrong.